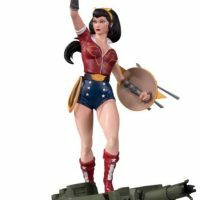 Axis forces get hit by a Bombshell with the DC Bombshells Wonder Woman Deluxe Statue. 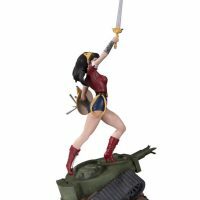 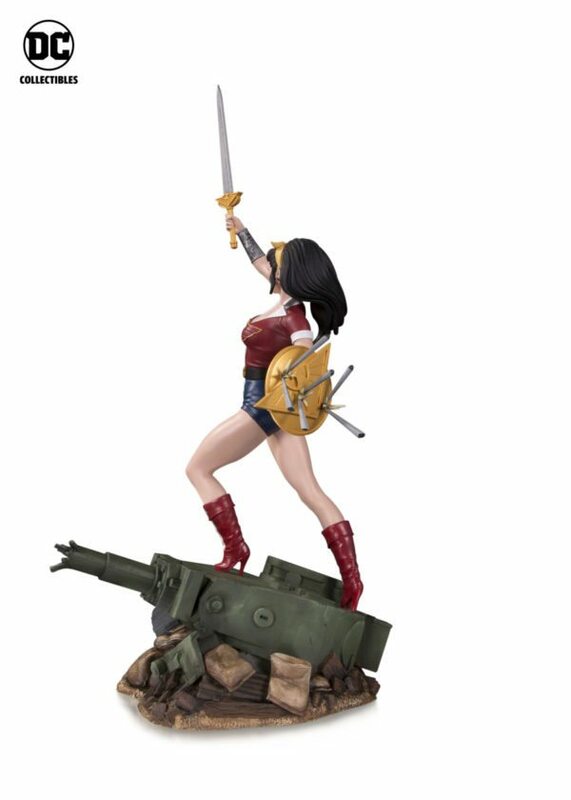 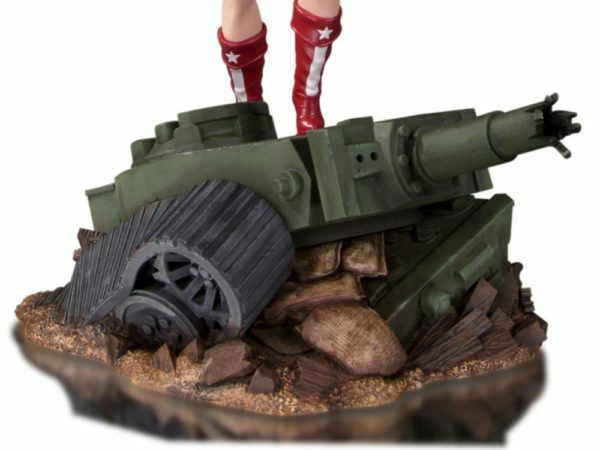 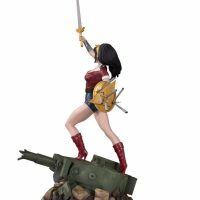 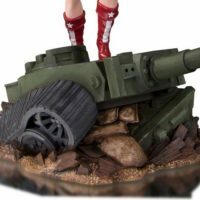 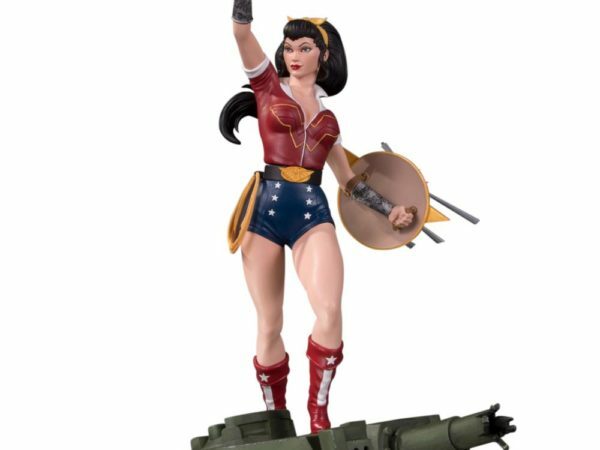 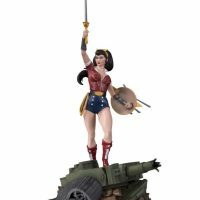 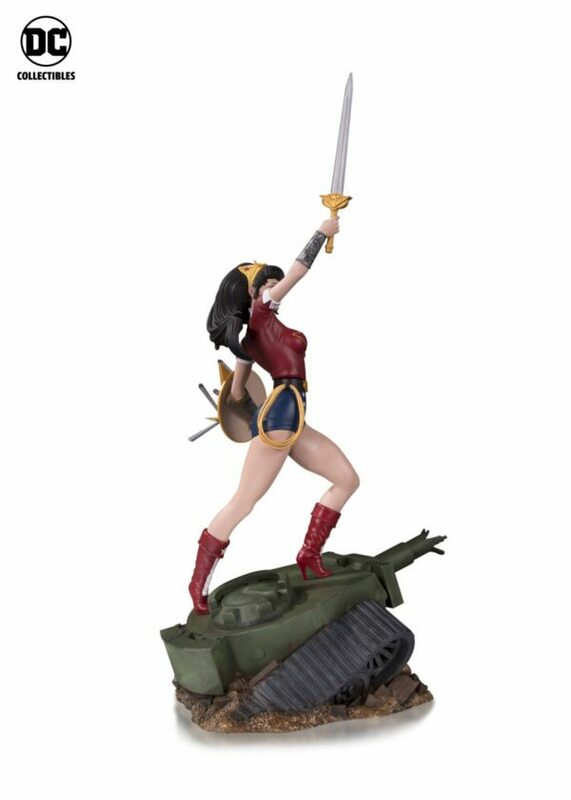 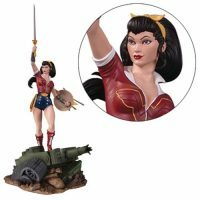 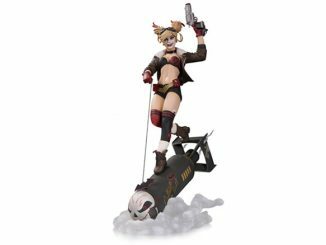 Inspired by the superhero pinup art of Ant Lucia, this approximately 9-inch-tall polyresin statue features the Wonder Woman of the DC Bombshells universe stomping an Axis tank into the ground. 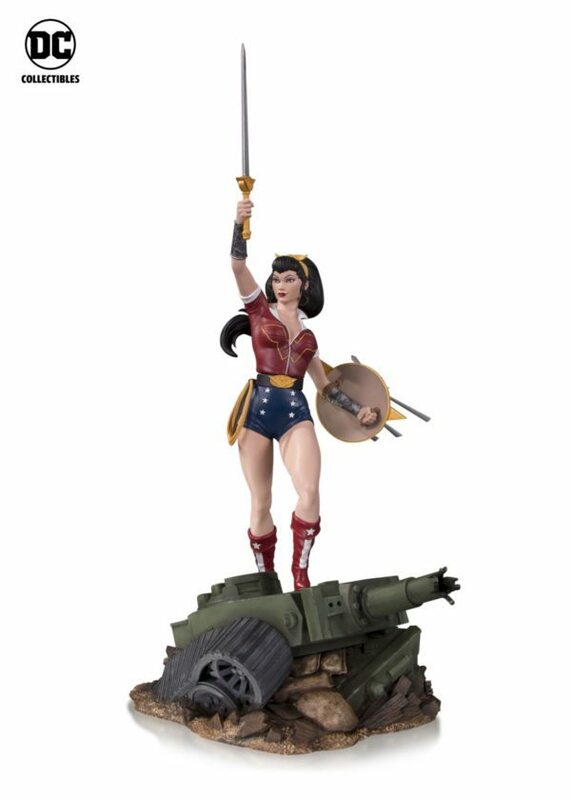 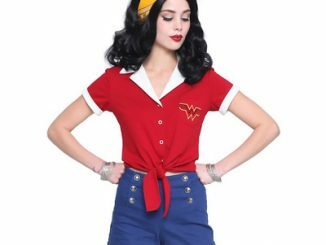 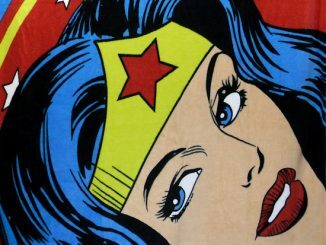 Armed with her sword, the golden Lasso of Truth, and a shield that’s already taken a few hits, she’s ready to show the enemies of WWII that they’ve messed with the wrong woman. 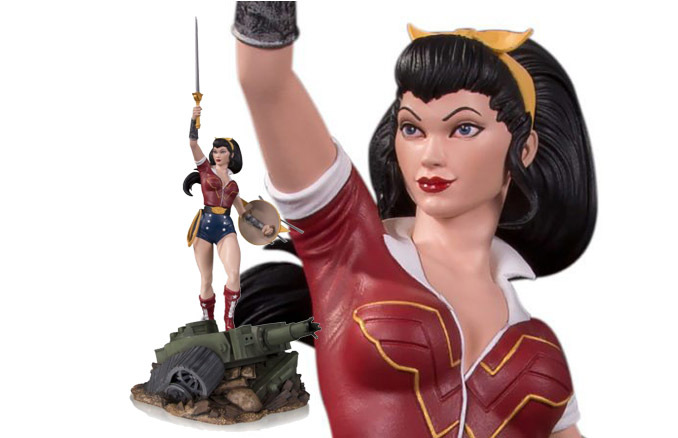 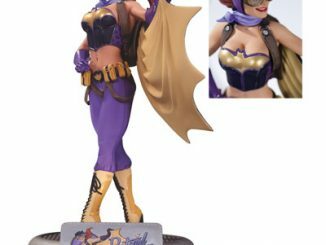 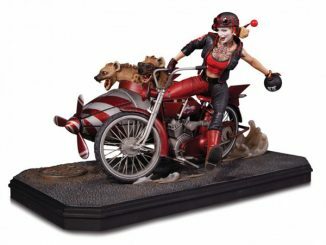 The Amazon warrior joins the DC Bombshells Harley Quinn Deluxe Statue in the Deluxe Bombshells collection. 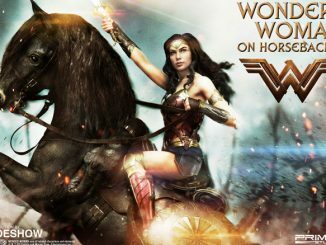 Coming August 2018. 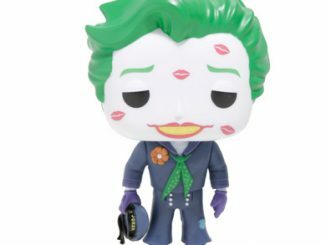 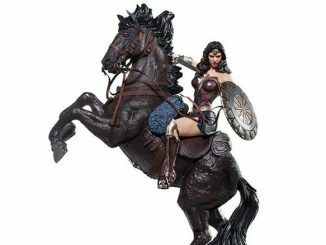 Preorder now for $159.99 at Entertainment Earth. 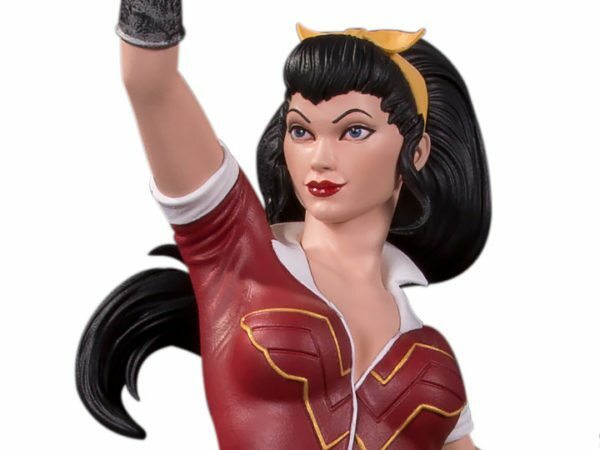 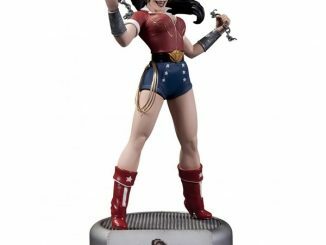 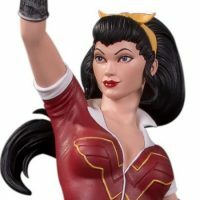 Fans of Bombshell Wonder Woman might also like the Wonder Woman Platinum Edition Vinyl Figure.